Tupelo - The Rev. 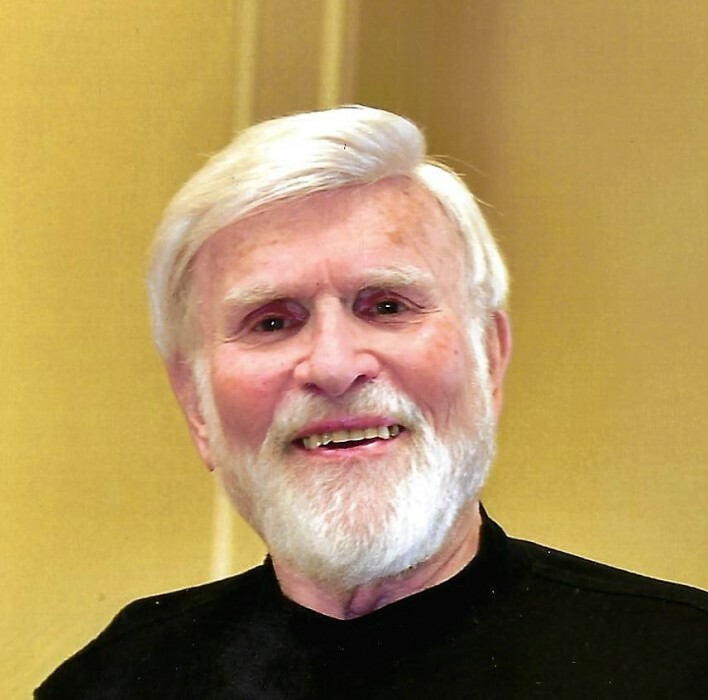 David Henry Jensen, 85, died peacefully on Tuesday, February 12, 2019, at Sanctuary Hospice House. He was born July 9, 1933, as the older of a set of identical twins, to Henry & Borghild Jensen in Lake City, Minnesota. He attended high school in Sibley, Iowa, where he and his twin brother Don were card-carrying members of the Chat & Nibble Club, among many other high school activities. He attended college at Worthington Junior College in Worthington, Minnesota, during which time he met the love of his life, Marilyn Anderson. He was drafted into the United States Army during the Korean War and proudly volunteered as his twin brother to serve as well. He graduated from the University of Minnesota and worked for over 20 years for Red Owl Food Stores, an iconic grocery store chain in the Midwest, beginning as a grocery bagger, then meat department manager, then the youngest district manager in the company at the time. He began working for Minnesota Fabrics in the late 1960s which was later acquired by Hancock Fabrics. He retired from Hancock Fabrics in 1996 as Vice President of Personnel. Upon his first retirement, he earned his Master of Divinity degree from New Orleans Baptist Theological Seminary at the age of 68 and concurrently served on staff at First Baptist Church of Tupelo as the Minister of Single Adults and Recovery. After 20 years of ministry, he retired for a second time, but continued his work as an active hospice chaplain and was honored to be North Mississippi Medical Center's Volunteer Hospice Clergy of the Year in 2017. He volunteered with The Compassionate Friends for many years, a non-profit organization that helps minister to parents who have lost a child. His career moved the family to many places including Minneapolis, Minnesota; Sioux Falls, South Dakota; Milwaukee, Wisconsin; Wheaton, Illinois; Charlotte, North Carolina; and Tupelo, Mississippi. His hobbies included pitching horseshoes, telling bad jokes, and doing one-arm push-ups for as long as he was able, which was at the ripe old age of 70. He was a lifelong learner and, at the time of his death, was working toward his doctorate. A celebration of his life and homegoing will be held with military honors at 2 p.m. Saturday, February 16, 2019, at First Baptist Church of Tupelo with the Rev. Matt Powell, Dr. Gayle Alexander and the Rev. Ricky Young officiating. Visitation will be Friday 4 until 7 p.m. at the Tupelo Chapel of Holland Funeral Directors and Saturday from 1 p.m. to service time at the church. He was preceded in death by his parents; his wife of 57 years, Marilyn Anderson Jensen; and his son Ted Jensen. Survivors include his five children, Lisa Gabriel (Mike) of Wheaton, Illinois; Karin Zelinko (John) of Winter Haven, Florida; Thor Jensen (Lori) of Winston Salem, North Carolina; Amy Speck (Tim) of Tupelo; and Kjell Jensen of Fraser, Colorado; his twin brother Don Jensen of Inver Grove Heights, Minnesota, and his older brother Richard Jensen of Sibley, Iowa; 13 grandchildren, Bill, Danielle, Melissa, Kelsey, Rachael, Katelyn, Lauren, John Caleb, Theo, Sam, Ethan, Erick, and Ingrid, and families; 12 great-grandchildren; his special friend Bunny Perry of Fargo, North Dakota; and his beloved cat Frances, of the home. Honorary pallbearers will be Doug Maples, Bob Hanson, Merle Claunch, Dr. Jerry Moore, the McDonald's men's prayer group, members of his Sunday School class, and deacons at First Baptist Church. In lieu of flowers, the family requests memorials be sent to Sanctuary Hospice House, PO Box 2177, Tupelo, MS 38803 or St. Jude Children's Research Hospital, 262 Danny Thomas Place, Memphis, TN 38105. Rev. Jensen was an anatomical gift to medical research. The interment of his cremains will be at Forrest Glen Cemetery, Glen Ellyn, IL at a later date.